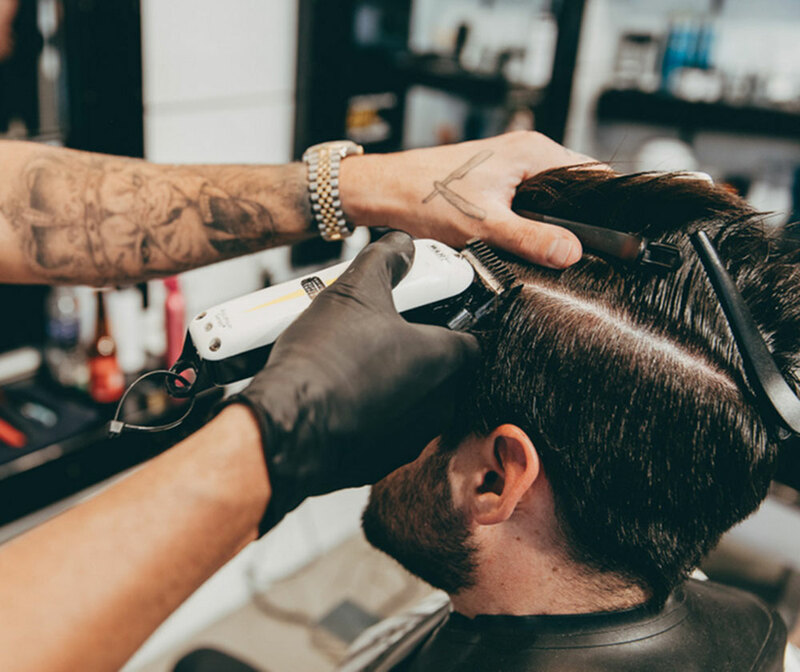 At Mint it is our passion to deliver the highest level of modern barbering using the most innovative techniques to create the latest trends and fashion in male grooming. Course price starts from ONLY £3250.00. Click Here To Find Out More. Prices begin at only £88.76 per month (14.9% APR) Subject to credit approval 0% APR available for 12 and 18 months. Klarna is one of Europe’s fastest growing companies and a leading alternative payment provider. Klarna’s vision is to make all payments ‘smoooth’ adding value for both the consumer and merchant with our unique payment options and customer experiences. Klarna was founded in 2005. In 2014 we joined forces with SOFORT and formed Klarna Group and in 2017 acquired BillPay. Today we have 2000 employees in 14 markets serving 60 million consumers and 100,000 merchants. Now you can book your spot on the course with us and pay easily with Klarna. That’s smoooth. Slice up your payment with Klarna. Pay over time for your course instead of all at once. When you are ready to book, we will send you an application form and you can choose which option you’d like to choose. Credit offered subject to financial circumstances. Must be 18. Representative APR 0% or 14.9%. 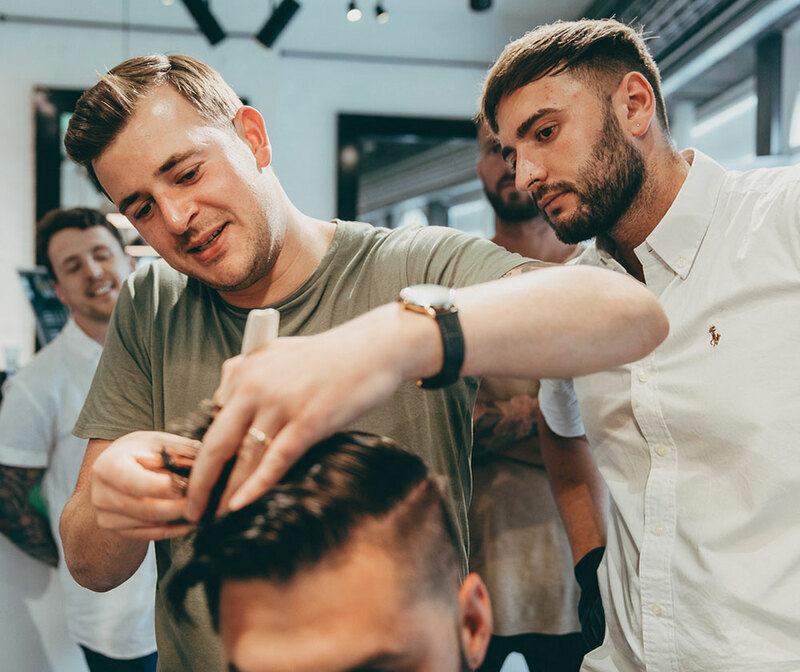 We have combined years of experience to design a course that is suitable for complete beginners aiming to become a shop-ready barber. The course has no entry requirements and is suitable for anyone aged over 16. One of our experienced educators will combine a hands-on approach as well as a practical workshop allowing our students to cut on real life models. 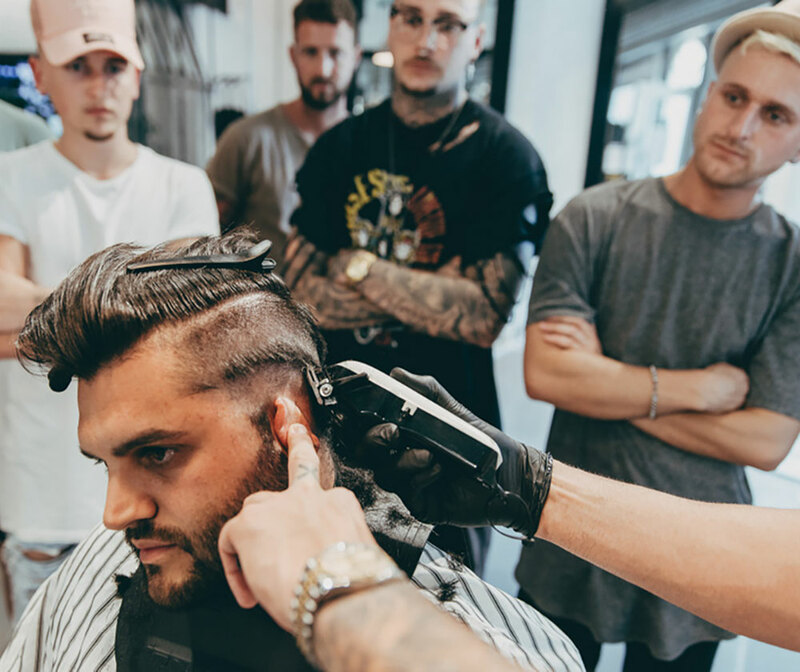 This will help build confidence, increase technical ability and develop your creative distinction, which will give self-assurance in a real-life salon environment. We accept any level of experience and no qualifications are necessary. You can either pay for the course in full. Or you can pay using our finance option. We are open Monday – Friday 10am – 6pm but please fill in the enquiry form during out of hours and a member of the team will contact you the next working day. DO I NEED TO BRING MY OWN KIT? You can bring your own kit. Or we can supply you with a complete setup at trade price with all the things that you will need throughout the course. For more information please call: 07391 750972. WHAT CERTIFICATION DO I GET UPON COMPLETION? 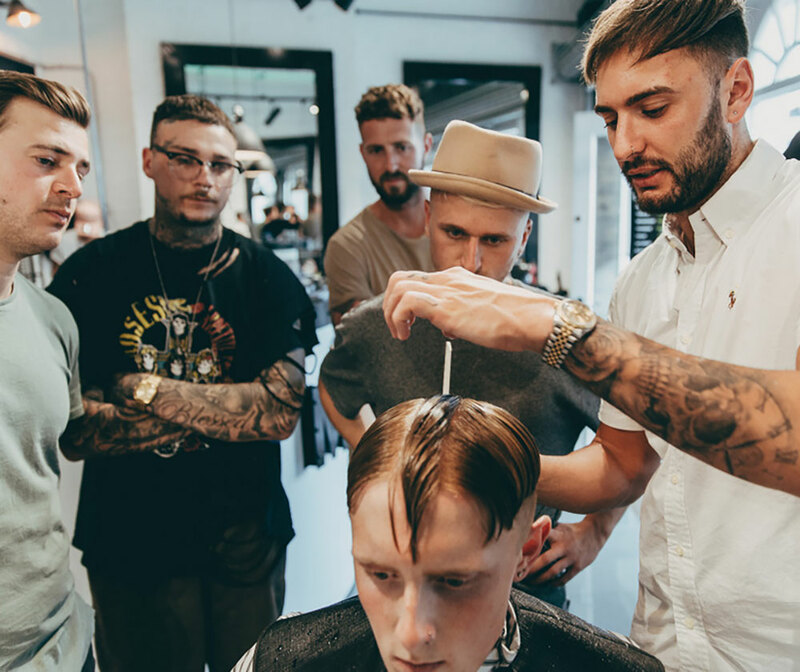 You will receive the NVQ Level 2 Diploma in Barbering. I DO NOT LIVE IN THE UK; WILL YOU ACCEPT ME AS A STUDENT? Yes, we accept students from across the globe, as far as South America, Asia, Australia, Africa and North America. If you want to become a barber, then we are happy to train you. The only requirement is that you speak enough English to understand our educators. CAN YOU SUPPLY HOUSING FOR THE DURATION OF THE COURSE? Yes, we can supply housing for an additional cost at a discounted rate. We have a partnership with local housing in Bournemouth Town Centre within walking distance to the beach and shopping. Breakfast and dinner are included. For more information please click here. No, you can wear what you like within reason. Shoes must be worn for health and safety (no flip flops or sandals). Models will be fully supplied by us. But of course, you can bring you friends or family, they are more than welcome. The Bayview Breeze is a new concept in accommodation for those looking to live and study in Bournemouth. For some, a shared house or flat suits perfectly, however if you want a double bed in large private room with en suite, inclusive catered breakfast and dinner, no further bills AND to be on the seafront, then the Bayview Breeze is the place for you! The Bayview Breeze has its own gardens, bike store, private parking, games facilities AND free Wifi internet with flat screen TVs to every room. Many rooms have panoramic views over Bournemouth Bay – from the Needles all the way to Old Harry Rocks – and access to the 7 miles of golden beaches, just yards away. Ideally located near the town centre and is close to the main train station and University buses. All-inclusive private en-suite accommodation on Bournemouth’s East Cliff, ready for the academic year. Bay View Breeze is an Accredited Student Accommodation operating under the National Code of Standards. Great package – Large double rooms with big beds and breakfast / dinner included – all in one cost, no extra bills to pay! Please note – A £250 security deposit will need to be paid which will be held separately and returned at the end of the tenancy. If a student is not able to proceed with the tenancy this will be returned only if Bay View Management are able to let the room to another student. £40 (non-refundable, included in the deposit). Feel free to call us on 07391750972, or visit the shop at The Mint Academy, 127 Bellevue Road, Bournemouth, BH6 3DJ.